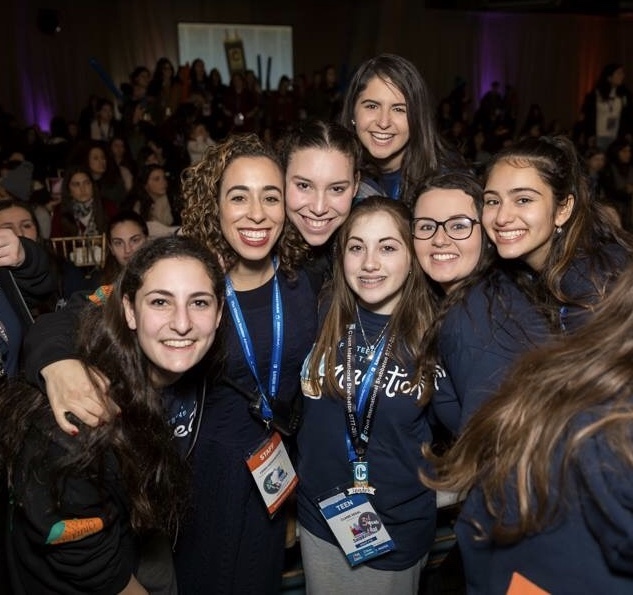 The CTeen International Shabbaton is a weekend attended by over 2,500 teens from around the world, along with their CTeen Rabbis and Rebbetzins. I’ve been lucky enough to attend the Shabbaton throughout my high school career. The 2018 CTeen International Shabbaton will mark the beginning of the end of my time as a CTeener. At the cusp of high school graduation and my first step into the real world, I look back, and have CTeen to thank for where I am today. 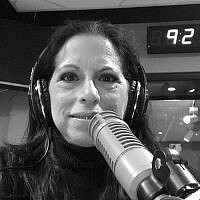 CTeen raised me from a bright-eyed and bushy-tailed fourteen year old, to a strong willed, well educated, proudly Jewish student, preparing for a gap year at Machon Maayan, in Israel. It all started when my CTeen Rabbi convinced my mom to allow my sister and I to join our CTeen chapter for a weekend in New York. I didn’t really know what I was getting myself into—just a day off school; what could be so bad about that? The Shabbaton opened my eyes to the real world of Judaism. 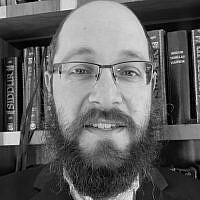 Despite attending Chabad as a child, I had no idea what a Chabad lifestyle was like; I didn’t know who the Rebbe was, or that there were so many other Rabbis like mine, from all over the world. I came away from the experience completely changed; I knew CTeen was the place for me, and I knew I had to take an active role in whatever happened next. Every year, the shabbaton exposed me to new aspects of Judaism, and I returned home with a new perspectives on life. There are hundreds of highlights, but the thing that sticks with me the most is the unparalleled sense of Jewish Pride I feel every single year. At the first Shabbaton, during Havdalah in Times Square, someone standing next to me shared how she could feel Moshiach coming. As a naive fourteen year old, I didn’t understand the depth of her statement, but looking back, I realize how powerful it was. I didn’t realize how amazing, special, and unique it was to shutdown Time Square for a concert with a Jewish performer. What else could bring Moshiach than the power of the Jewish nation? Here, we could be open and proud to be Jewish, to sing brachot and “Am Yisrael Chai” at the top of our lungs. Another memory that stands out in my mind comes in the form of prayer. It was during Kabbalat Shabbat at my second Shabbaton. The entire group of girls—seven hundred at the time—stood together in shul to welcome Shabbat with Lecha Dodi. There was so much passion and energy in the room. I had never heard the prayers sung with so much liveliness. The energy continued at the meal, with everyone singing and dancing—on the tables! The room was buzzing with so much love and spirit. I had never experienced such a sense of unity. But, it was on Shabbat at my third Shabbaton when things really began to change. A friend mentioned to me that she was going to attend Seminary in Israel the following year. I was shocked: I didn’t know that such a thing existed, especially for girls like us, coming from public school! 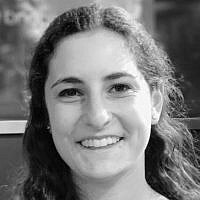 She was ready to learn more about Judaism, and Israel was the perfect place to do it. The idea sounded amazing, but I quickly put it away in my mind. There was no way I could ever do that. But, after the Shabbaton was over, I found myself thinking constantly about Seminary, and the opportunity of taking Judaism to the next level. My time at CTeen had given me a drive to strive to learn more, and I had to follow it. Now, almost a year later, as I prepare to embark to New York one last time, I can proudly say that I will be attending Seminary next year. The Shabbaton has empowered and motivated me to take on more mitzvahs and learn more about Judaism. As my time in CTeen ends, I know I can always look back at these experience to keep me going and to always remind me that, no matter where I go, I am a Jew, and a proud one too. Hannah is on a gap year in Israel at Machon Maayan. Next year, she will be attending Binghamton University and studying Human Development.